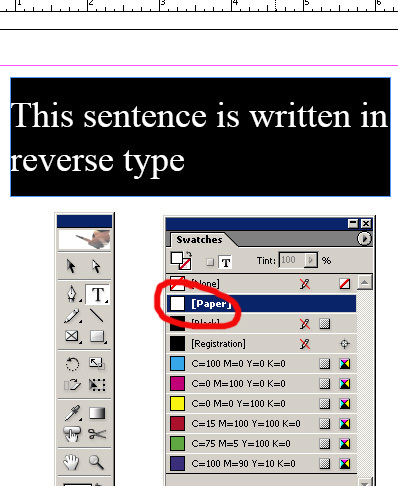 Reverse type is simply white text on a black background. (the reverse of normal black text on a white background). 1. 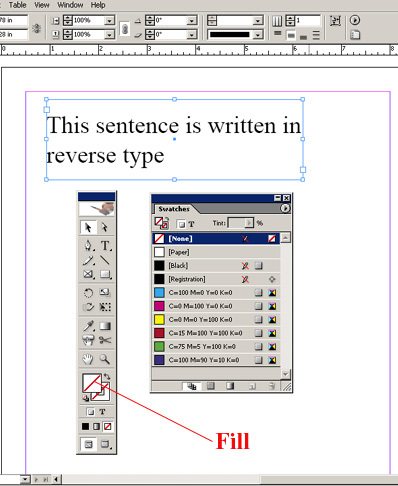 Make sure the text box is selected - click on the fill in the tool bar and bring it to the front. 2. 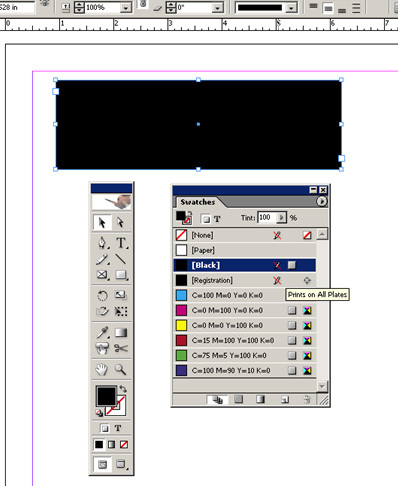 Select black from the Swatches palette to give your text box a black fill. 3. Highlight the text and apply white from the Swatches palette.